The S.C. Natural Resources Board, the policy-making body of the S.C. Department of Natural Resources (DNR), recently approved the 2015-2016 late migratory bird seasons and regulations from a framework set by the U.S. Fish and Wildlife Service. The season and bag limit selections must be approved by the Service and published in the Federal Register. The 2015-16 migratory bird brochure is now available at the DNR website at: http://www.dnr.sc.gov/regs/migratorybird/regulations.html. DUCKS (Excluding Sea Ducks) – Open Dates (All Dates Inclusive): Nov. 21, 2015–Nov. 28, 2015; Dec. 12, 2015–Jan. 31, 2016 – Hunting hours: 1/2 Hour before Sunrise until Sunset – Bag limit: 6 total, including no more than 4 mallards (2 hens), 2 pintails, 1 fulvous whistling duck, 1 black-bellied whistling duck, 3 wood ducks, 2 redheads, 2 canvasbacks, 2 scaup and either 1 black duck or 1 mottled duck. – Possession limit: 18 total, including no more than 12 mallards (6 hens), 6 pintails, 3 fulvous whistling ducks, 3 black-bellied whistling ducks, 9 wood ducks, 6 redheads, 6 canvasbacks, 6 scaup and any combination of 3 total for mottled ducks and/or black ducks. MERGANSERS – Open Dates (All Dates Inclusive): Nov. 21, 2015–Nov. 28, 2015; Dec. 12, 2015–Jan. 31, 2016 – Hunting hours: 1/2 Hour before Sunrise until Sunset – Bag limit: 5 (not to include more than 1 Hooded Merganser) – Possession limit: 15 (not to include more than 3 Hooded Mergansers). SEA DUCKS (eiders, scoters, long-tailed ducks) – Open Dates (All Dates Inclusive): Oct. 17, 2015–Jan. 31, 2016 – Hunting hours: 1/2 Hour before Sunrise until Sunset – Bag limit: 7 (Not to include more than 4 scoters) – Possession limit: 21 (Not to include more than 12 scoters) — Sea ducks taken outside of the regular duck season may be hunted only in Atlantic Ocean waters separated from any shore, island or emergent vegetation by at least one mile of open water. COOTS – Open Dates (All Dates Inclusive): Nov. 21, 2015–Nov. 28, 2015; Dec. 12, 2015–Jan. 31, 2016 – Hunting hours: 1/2 Hour before Sunrise until Sunset – Bag limit: 15 – Possession limit: 45. CANADA GEESE/WHITE FRONTED GEESE (Late Seasons) – Open Dates (All Dates Inclusive): Nov. 21, 2015–Nov. 28, 2015; Dec. 12, 2015-Jan. 31, 2016, Feb. 14, 2016-Feb. 29, 2016- Hunting hours: 1/2 Hour before Sunrise until Sunset – Bag limit: 5 (not to include more than 2 white-fronted geese) – Possession limit: 15 (not to include more than 6 white-fronted geese). East of US 301: This excludes that portion of Clarendon County bounded to the north by S-14-25; to the east by Hwy 260; and to the south by the markers delineating the channel of the Santee River. West of US 301: This excluded that portion of Clarendon County bounded on the north by S-14-26 and extending southward to that portion of Orangeburg County bordered by Hwy. 6. BLUE and SNOW GEESE – Open Dates (All Dates Inclusive): Nov. 21, 2015–Nov. 28, 2015; Dec. 12, 2015-Jan. 31, 2016 – Hunting hours: 1/2 Hour before Sunrise until Sunset – Bag limit: 25 – Possession limit: No limit. BRANT – Open Dates (All Dates Inclusive): Jan. 2, 2016-Jan. 31, 2016 – Hunting hours: 1/2 Hour before Sunrise until Sunset – Bag limit: 2 – Possession limit: 6. There is no open season on harlequin ducks. Nov. 14, 2015 is State Youth Day. Only youth who are 17 years of age or younger may hunt ducks, mergansers and coots, but they must be accompanied by an adult at least 21 years of age who is fully licensed. Youth who are 16 and 17 years of age, who hunt on this day, must possess a Federal Waterfowl Stamp and Migratory Bird Permit. Feb. 6, 2016 and Feb. 13, 2016 are Federal Youth Days. Only hunters 15 years of age or younger may hunt waterfowl (ducks and geese) on these days. The youth(s) must be accompanied by an adult of at least 18 years of age. The adult is not allowed to carry a gun or hunt, and does not have to be licensed. The regular duck season limits apply. 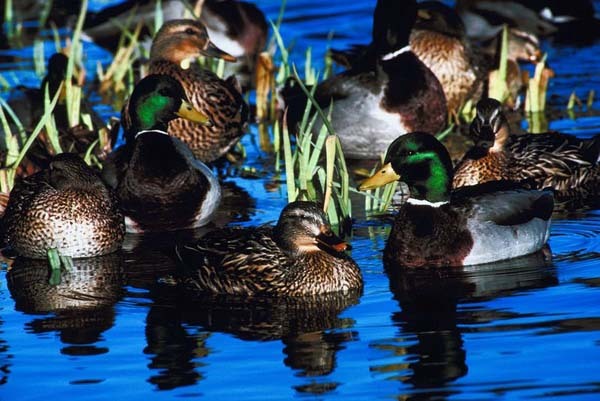 Shooting hours for late season duck hunting are uniform statewide. Hunters should take notice that DNR law enforcement officers will pay special attention to “late shooting violations” throughout South Carolina. Check local newspapers for sunrise and sunset times. Any South Carolina hunter born after June 30, 1979, must complete an approved hunter education course to purchase a hunting license. Federally approved nontoxic shot (such as steel, bismuth-tin, tungsten-iron or tungsten-polymer) is required for all waterfowl hunting. The possession of lead shot is prohibited for all waterfowl hunting statewide.